When my father in law fell sick and changed from a healthy fit guy into a bedridden parent in an instant, i thought this is how Allah is going to test us all as a family. And i started writing down some entries in Coping, thinking how this is going to be a long journey ahead of us. i thought of putting into words some of the memories in this hidey-hole. The first month was spent in the hospital. juggling time to and fro the hospitals mainly. the next month came by and it was all about preparing for abahKama's coming home. and once he was home, days passed again as we were focusing on his needs. and things were slowly settling down by the third month as we were slowly coping with fulfilling our family's needs along with our needs too. as for abahKama, he was slowly and steadily doing well. he tried his best mouthing some words when communicating, he understood most of what we tell him, he could smile and laugh awkwardly at my sister's jokes. he did small exercises with Ma. he could move most of the time, despite not really fully within his control. but we saw progress. and all the family members were coping well with taking care of abah: changing diapers, feeding milk via the tube, cleaning his tracheostomy etc. and me and Aizzat were coping in our own way, with Aizzat filling his time with extra working hours whenever he can to support the family. We were doing well. Abah was doing well. and we plan. but Allah is the best planner of all. as 16th of April 2018 came. I came home from work to an empty house as usual, as Aizzat was on his PM shift that would finish at 10pm. I was lazying around as Maghrib entered, when Aizzat called me saying we're heading home to Pasir Mas. "abah's having seizures." We both didn't panic. my first thought was this is a complication for a stroke patient. it's bound to happen. maybe he had some small seizures and Aizzat said Ma had called the ambulance already. we packed swiftly and all i could think of in the car was "okay maybe a night or two in the hospital. I just hoped Abah's condition is not worsened by it." And Aizzat was pretty much thinking of the same thing too. We were calm doctors as opposed to panic-stricken daughter/son. "yan, abah takdok dah." Ma said. i didn't comprehend. did i hear wrong? but i started crying and sobbing istighfar as the words sink in. we cried the whole way back to Pasir Mas. picking up aizzat's sister from UiTM along the way. but once we were home, nobody shed tears. we were doing our best to handle the funeral. which was all new to us. families including my parents came by to help us alhamdulillah. Abah passed away in the ambulance, on his way to the hospital. we brought him home later that night after settling some paper work. we took turns reciting the Quran beside him until morning came. everybody looked spent. i watch my husband and all my in laws. and saw how strong they were in handling everything. no one cried. until it was time to say our final goodbyes. each of us went to kiss his cold cheeks and forehead. abah looked good. handsome we'd all say. something that made us felt a little better from our broken hearts that day. Semoga roh abah ditempatkan bersama orang-orang beriman. ameen ameen ya Rabb. how do we handle losing our loved ones? there is no right way for us to do it actually. it's just something we don't want to think about let alone plan for it. but when it happens, we go through it. no matter how hard it is, we pray that Allah guide us through it. because Allah already wills it to happen. Abah's passing will always leave a hole in our hearts. and grief is nothing but a roller coaster ride. where we would smile and laugh at one moment, and find ourselves crying in our doa missing him at the next. but being Muslims, we take comfort knowing that he is still there, just in another phase of life. we'll all be there too one day. but for now, doa is the only thing that could reach him. so keeping him in our daily prayers is the only way to move forward. we bear witness that you have been a great father to us, a great husband to Ma. and it's time for you to have your rest alongside our Creator now, insyaAllah. "sorang tu tak solat langsung. the other one said die solat tapi die qadha. she said her uncle said it's okay to qadha solat everyday." astaghfirullah. it was pretty much a little conversation i had with my sister about her circle of friends. and we're only talking about a bunch of girls. what about the community, our country, and the world as a whole? one can only wonder. so i continued this conversation with my husband in the car. pretty much lamenting how scary the world is nowadays. because solat is the pillar of islam, and yet so many muslims are taking them lightly. so much so that even seeing people who don't perform solat doesn't seem that big of a deal anymore. astaghfirullah, may Allah protects. one group who are very nice people, but they just don't adhere much to Allah's rules. taking some and leaving some. modest clothing, not really keen to cover the hair, but totally a soft well mannered lady. not praying 5 times a day, but is actively doing charity work. goes clubbing at night perhaps drinking some alcohol, but spends a lot of time helping the poor and the needy. by definition of human nature, they are nice people. and they go about feeling bliss with being the 'good' human. the other group are those who adhere totally to Allah's rules, but they are just not that nice. you know, sometimes the ustaz we see on youtube who are calling other people 'bodoh / sombong / bongkak' and every other dirty words he could think of. those who totally cover their aurah from top to bottom, but go about sleeping with random boys in the end. those who pray 5 times a day, and yet doesn't have the decency to throw rubbish at the rightful place. those wearing serban or kopiah 24/7 but is also smoking 24/7, huffing and puffing in front of their kids. them, by definition, are 'practicing' muslims. they pray, they fast, they avoid haram food, they cover their aurah, and they go about feeling bliss with being the 'good' muslim. and these two groups are what makes up most of our muslim community in Malaysia. the ones who settled with being nice. and the ones who settled with being a 'practicing muslim'. but the truth is, a true muslim needs both hand-in-hand. one is never complete without the other. being a nice person is not enough, if we fail to adhere to Allah's commands. stop lying to ourselves that it's okay to not wear a hijab, or it's okay to show some skin, it's okay to touch our non-mahram friends, when they are all clear commands from Allah. and those things will be accountable for in our akhirah. but we now live in the world where those who reminds are being chastised instead. "awak bukan baik sangat. Allah tengok keikhlasan hati. jangan 'judge' orang lain. die buat banyak lagi benda baik." the list goes on. and vice versa for the other end. adhering to Allah's rule but not all. avoiding all those big sins - pray 5 times a day, fasting in Ramadhan, paying your zakat - but taking those smaller sins for granted. going to work late, making empty promises, talking bad about others, writing harsh words over the net, spreading fitnah, gossiping, and the list goes on. being a muslim is about building your relationship with Allah. and it entails adhering to His commandments in all aspect of life. picking some and leaving some is not the way to Him. being a better person requires us to be a good 'abid as well as a good human-being. yes, nobody is perfect aside from Rasulullah s.a.w, but aiming to perfect our iman and amal is not impossible, as it's an ongoing process. we may never be a perfect muslim, but Allah takes effort into account. istiqamah is always the key. and this effort requires us to be in both groups of people, not either. so stop choosing sides and try to be both. most importantly loved by Allah s.w.t. I’d be writing some entries in Coping. Perhaps as my way to cope with our new journey. Perhaps as my way to ask for some du’a from anyone who stumbles into any of my entries. 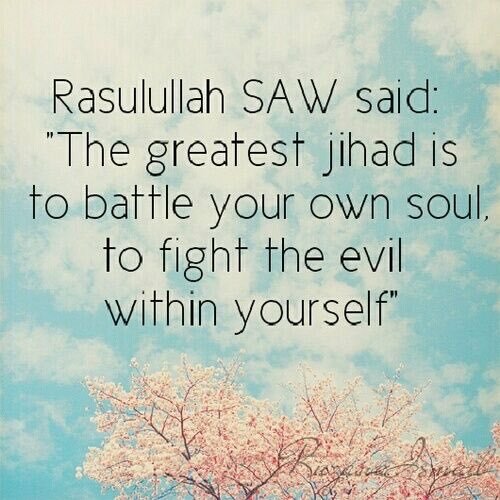 Perhaps as a reminder for my future self of how Allah has guided us from the very beginning. Just perhaps. In my last entry, Abah Kama was transferred to a general ward. and he was showing very minimal response. we were unsure of what would become. and His plans enfolds smoothly for the weeks after, alhamdulillah. Abah Kama was initially transferred to a district hospital, whereby my mother in law decided that it's best if he stayed in the palliative ward for comfort. He stayed there for a couple of weeks and eventually was discharged home. How is he? Alhamdulillah. Abah Kama is awake. He responds with nods and shakes back then. nowadays he tried mouthing some one-word answers whenever he can. his movements are very much limited, as he hasn't gain much control over his muscles yet. but he has a bit of strength around his neck muscles on and off. The nearest clinic has a team who would come by once a week to monitor his progress. Alhamdulillah. sometimes bringing in medicines, or looking for any wounds on him. some things that we might have taken for granted had we not experience these ourselves. since my husband and i could only come back during weekends, those medical team coming over during the weekdays does eases our minds a bit. To be honest we have a lot on our plate now, and sometimes it can be overwhelming for the both of us. but we tried our best by encouraging each other in those moments, that we need not worry, that we could go through this well, if we're in it together. :) Aizzat is doing well, alhamdulillah. His free time is spent at the local clinics now. finding some extra hours of work to cover the medical expenses and two full households. be strong honey! Facing all these makes us very humbled and grateful, that despite everything, Allah has eases us more than we could ever imagine. we still have a home to come back to, food on the table and families around us that support us, alhamdulillah. Nevertheless, we still have a long way to go. we're not sure yet where this is all heading, and what the future holds for us, but we're taking small steps at a time, insyaAllah. May Allah eases this journey through and through. and perhaps you love a thing and it is bad for you. 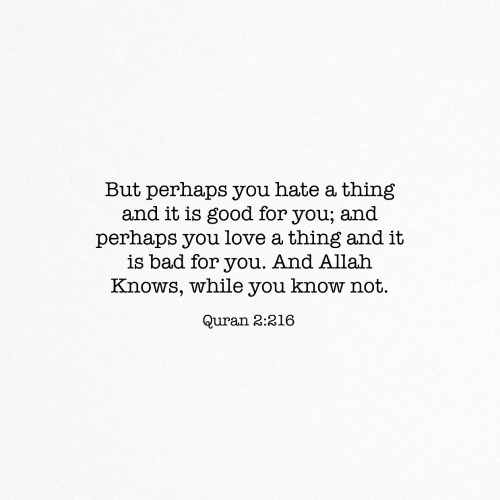 And Allah Knows, while you know not. "Allah swt knows the reality of everything while man’s knowledge is limited. We assess things on the basis of our limited knowledge and often make wrong decisions. We must pray that Allah swt bless us with both hikmah [wisdom] and rushd [deeper understanding with guidance] so that we do not decide on things being good or bad as prompted by personal desires, rather, by the Wisdom of Allah swt. If we learn this art we will block the way of Shaytan who tries to instill doubts and negative thoughts in our minds." Day 30. It’s been a month since the day my father in law, Abah, fell sick. How time flies. We never thought we could pass those days, but we did. That’s somehow the beauty of life. Or perhaps the scary part of it. That no matter how scared you are, time shall pass you by. That moment shall pass you by. What is meant for you, shall pass you by. Abah has been transferred to the general ward last night. He was in the intensive care unit (ICU) for a good 3 weeks before being brought to the high dependency ward (HDW). Basically the difference between these wards is how Abah is taken care of. In both ICU and HDW, families are not allowed to stay with the patients. Nurses spent most time tendering to Abah. All those regular feeding, suctioning and so on. Hence, Ma (mother in law) and Abby (little sister in law) has been playing the major role of visiting Abah on a daily basis. We found a small inn near the hospital for them to stay at, because there is nobody to drive them to the hospital while we are at work. And they have been walking back and forth for a-30 minutes-walk daily for almost a month now. Aizzat and I could only accompany them during weekends, bringing them to my parent’s house to stay at. My other little sister in law has been trying to come back on weekends too from her university. Everyone is trying their best, and trying their hard to be with one another. Everyone has been strong through and through, Alhamdulillah. I pray Allah keep us all this way for the rest of our journey, insyaAllah. Stroke. Somehow I see this diagnosis differently nowadays. Almost a mysterious disease. For I can never tell what is truly going on. Then there were times when Abah seems too restless or agitated. Those were the days when he was constantly put on sedatives because his movements became too aggressive at times, causing his mouth to bleed as he bites his inner cheek too much. Even causing his IV lines to come off. During these time, it hurts us the most. Because we cannot figure out what is happening. Is it just the stroke? Is it Abah trying to fight his own body that is out of his control? Is Abah in pain? Allahua'lam. Abah has gone through a lot in the ICU. He was always on antibiotics from all the bugs in the ward, something that we have expected in prolonged hospital stay. His heart was also beating furiously for days. Atrial fibrillation is what we name it. We try to not look into those vital signs too much when we visit him. Nowadays, Abah looked much calmer. Almost too calm. No longer any tears. Movements are too subtle. Are you sleeping Abah? Too tired to respond to us calling you everytime we visit? At times like this, I try not to ask Abah of anything. We’d just massage his arms, put lotion all over his body, rub Vaseline on his parched lips. We don’t want to disturb your rest for too long. But deep down, this scares us the most, when you are lying there so silently. Ma asked often, is Abah there? Is he alert of his surroundings? Our answers are pretty much the same since the beginning; we don’t know, only Allah Knows. Thinking of Abah’s laughs and smiles, sometimes, all I wish for is that this sickness is just a test for us, those who are left behind, and not for Abah. That Abah is somehow in a different dimension, resting well. Even if he hears us, he is listening from a better place. Not from the hospital bed. Not through those beeping sounds around him. I hope that Abah doesn't feel lonely, and he is not struggling to fight his own body. That he is resting well, because he deserves it the most, for someone who has worked hard all his life and yet never forget to be thankful and to always smile. That is our Abah Kama. and if He did not help you, who is there after Him who can help you? And in Allah (Alone) let believers put their trust." What Allah has granted us in life recently is only a small bit if i were to compare it with what others are facing. but to each and everyone, their own journey. and here is ours. When you’re a doctor, you’re always on the other side of the curtain. You see deaths, sickness, and sadness in the hospitals. But because you’re at work, and both your brain and your body needs to function; you detach yourself from whatever you see or feel. Fleeting moments of reflections, and then they disappeared. to now be the doctors behind those curtains. Where we waited patiently for the updates. Where we are waiting patiently beside Abah’s bed, holding his still hands, accompanied by the beeping of his vitals. Where we are the ones following Abah being pushed into ICU. Where we are now the family who are sitting at the sofa area, meant to be the place of breaking bad news. a part of the sadness. My father in law, abah Kama (Aizzat’s loving stepdad since he was six) got a stroke about 2 weeks ago. Day 18 to be exact. It was early Sunday morning. I was about to step out of the car when I heard Ma’s frantic call to Aizzat. I could hear her crying. You felt that shiver. But Aizzat asked me to go ahead for work. The day went by not being able to focus well during my course. It was all well initially. Just a small stroke. Aizzat sounded fine during lunch. My parents dropped by the hospital too to visit Abah. Then that short phone call from Aizzat. His cracked voice: “abah tak sedar. Diorang nak intubate.” I wanted to be with him there and then. That’s all I could think of. Alhamdulillah for my parents who drove all the way to pick me up from Besut. It was already 11pm when I saw Aizzat sitting tiredly beside abah’s bed. My cheerful abah, now lying there on the hospital bed. The news kept becoming bigger and heavier. When the medical doctor came telling us shortly about a possible bleed and burr-hole surgery, simply put. Just as we were about to cope with the news, he gave us another big blow: conservative treatment, abah will be sent to the ICU. To be honest, I wondered if we weren’t medical doctors, we wouldn't have a single clue of what has been told, what the plan was, and why the sudden cancellation. It was all too fast. All too complicated to comprehend in that short time. but our lives were already making so much turns. Aizzat looked so spent. And yet so calm. Too calm. He even smiled and greeted all the ICU staff who remembered us when we sent abah to the ICU. We sat at the sofa area. Waiting for Kak Long (Aizzat’s elder sister) to arrive from Kuala Lumpur. I talked to Aizzat. He was still stiff. I worried. We went home at 230am. A quick shower and he was already asleep when I joined him. is the only way to move forward. you know that feeling? that little tug in your heart. we'd usually get one of those when we're touched, or sometimes when we felt guilt. i had one today. mine is the latter one. or perhaps it's a mixture of guilt and sadness? or even perhaps helplessness? being a doctor in small secluded place in Pasir Akar brings me into the lives of so many elderly. 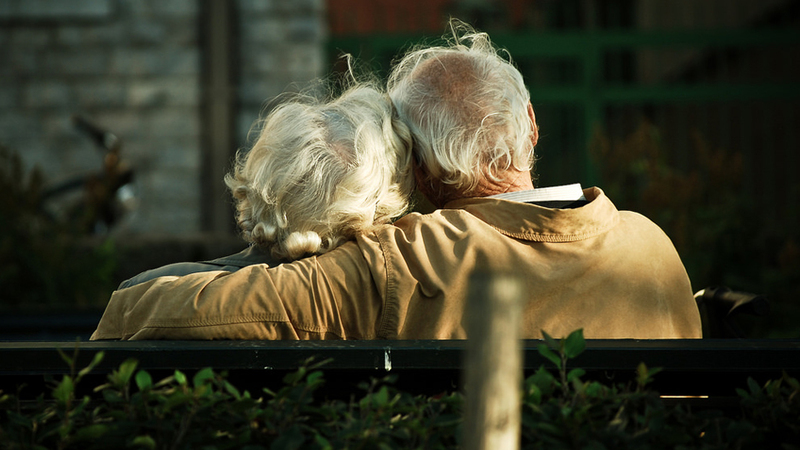 i know that i have always had this soft spot for grandpas and grandmas. and seeing that i have none left now in my life, i'd often imagine them as one of my own. but the grandpas and grandmas that i see here are not those who are happily coming in with their children. they'd usually come in with worn-clothes. they'd usually come alone looking scared. they'd usually looked confused. they're usually ones who live alone. and some are still busy working to put food on the table because they are left to fend for themselves. and these breaks my heart in everyway. and today, breaks me a little bit more. i met a 72 year old lady today. she came from a nearby pondok. i find it a common thing nowadays, where these elderly would rather stay at a pondok on most days to fill their days with ibadah. when they're staying at a pondok, they'd be closer to the masjid, and they have their own peers to recite the Quran together, to listen to those kuliah Subuh together. so back to my patient. she came with a slightly high blood pressure reading. telling me that she missed her medications for 3 days because she couldn't find any form of transportation to come to the clinic. and since it's already 3 days of missing medications, she could't wait any longer so she walked to the clinic. walked a good 5km to the clinic. i often heard these elderly taking the buses, or hitchhiking along the way. but this was a first. and there i was, not being able to do much. i asked around, but nobody was able to send her back. i didn't bring my car today and i don't think my boss would appreciate me leaving my job that early in the morning when i have other patients waiting for me. and all i could do at the end was ask her to rest first. to take her medications before she heads back. i felt helpless. but i continued my work and forgotten all about her. hence, this is the hardest part of this job as a doctor. when we have to detach our emotions while working. because they can't get tangled up or we wouldn't be able to move forward. you'd have those tugging moments along the way, but you move along. praying your best at that moment that Allah eases them. because almost all patients are people who are struggling to live. sometimes i do wonder, why are the ones who're sick are those who are poor, the ones who are already struggling with what's on their plate? puts things back in perspective. i pray that they are all granted with sabr. i pray that Allah eases their sufferings. i pray that Allah beautifies their hearts. i pray that Jannah awaits them at the end. Kami telah beriman, sedang mereka belum diuji?" I've been watching this girl lately. Her name is Aida Azlin. I know very little about her as i haven't done much 'stalking' about who she really is, but i've watched a few of her videos that she posted in Facebook. For which reminded me of those years where i used to love sitting down and reflect on whatever events that had occurred in my life. 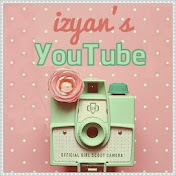 Her videos are just awesome and laid-back. As she talks about things in her life, and relate it back to how they can all make us closer to Allah. something that i think, i wanted to do all those years back in Dublin. but i guess life and job caught up with me, and whenever i feel like i wanted to write, so many things stopped me. 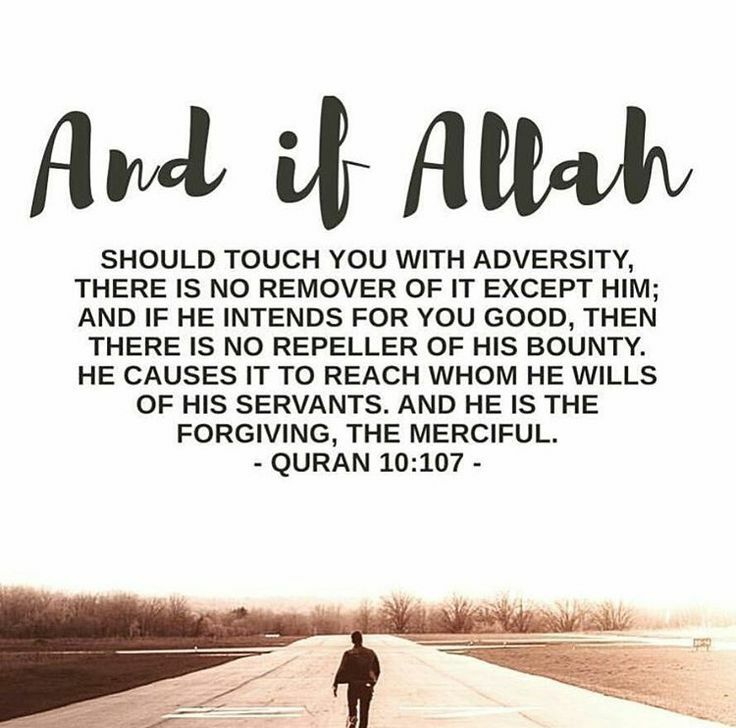 i felt like i haven't been as good as i wanted to be, hence i can't write reminders or advices because of the state that i was in: forgetful of Allah. Astaghfirullah. but then, as i watched some more of her videos today, somehow it made me realized, that nothing should be stopping me to write a good reminder, or a good advice. because waiting for oneself to be good, or so called 'pious' is a never-ending wait. you can never really know when you are good enough. and we all know that iman is a rollercoaster, we have our highs and lows. but as long as we find ourselves to still be in that path towards seeking Allah's redha, then wherever we are doesn't count. give good reminders if we want to, because who knows if those small reminders that we tell ourselves and others, will eventually become the pillars to strengthen our iman. we all know that islam is about istiqamah. there's a bunch of good things you can do in life, but to keep doing them is the hardest part of them all, so whenever and wherever we are, let's pray for each other to keep doing good, even if it's a small part in this big world, because our effort is all that it takes. 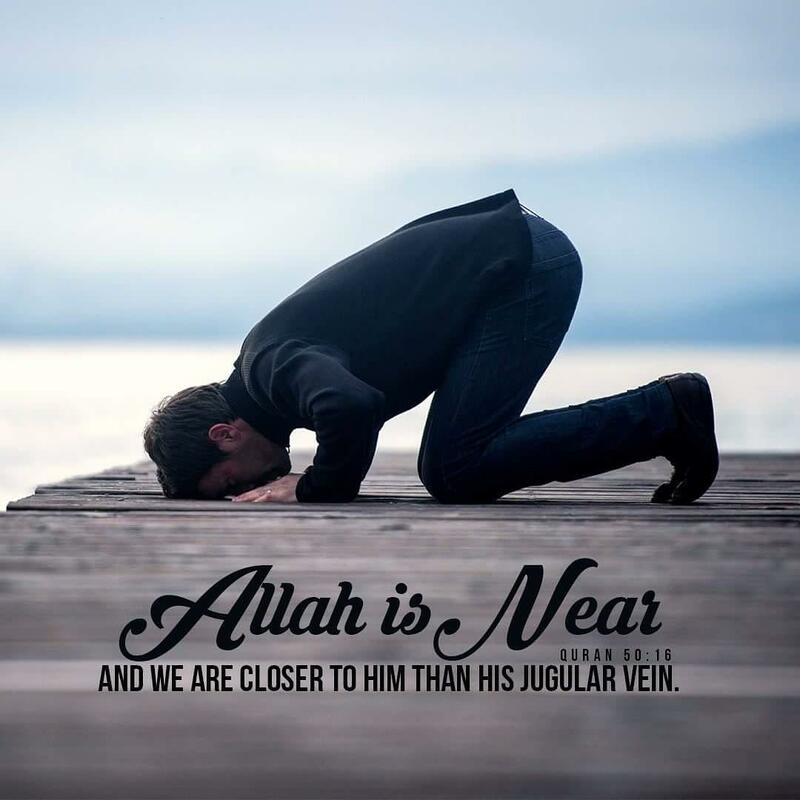 we all know that Allah Watches over. ever take anything that his hamba do, for granted. so here's to us, in trying to be a better abid. let's get an A for effort shall we? "Islam is not about 'we're better than you'. Islam is about 'let me show you something that's better for you'." Gadis ABG Mulus Bugil Super HOT!!! bye2 kokok ayam. helo hon dan enjin2 kenderaan! Care to be a ChocolateAddicts? 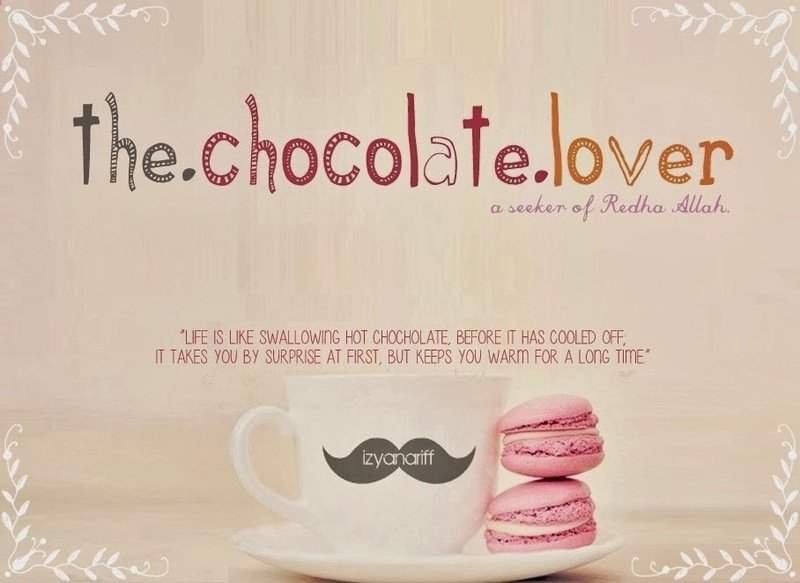 theChocolateLover is the double identity of MissIzyanAriff since 2009. Awesome Inc. theme. Powered by Blogger.